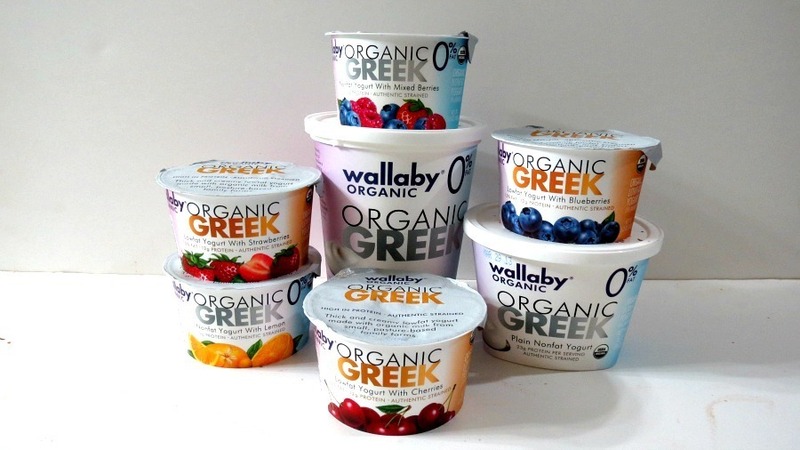 Today I have teamed up with Wallaby Yogurt Company to try out there newest line of Greek Yogurts! You know I am not one to turn down yogurt! I kind have a thing for yogurt! It is one those foods I can’t live with out!! really, I’m addicted! Just ask my Husband! He always says, your having yogurt again! The true test of yogurt for me is the plain 0% fat greek yogurt! That is the one I use most in my cooking, baking and I like it plain so I can add whatever I like to it. Well, I have to say I love their yogurt. It’s not very thick, more of a regular yogurt consistency. It’s also not tangy but it is so creamy, like whip cream dessert. Plus it even has a slight sweetness to it. I have to say I am impressed. Nice job Wallaby!! Nice job!! But what about the nutritional stats? You can look for yourself. 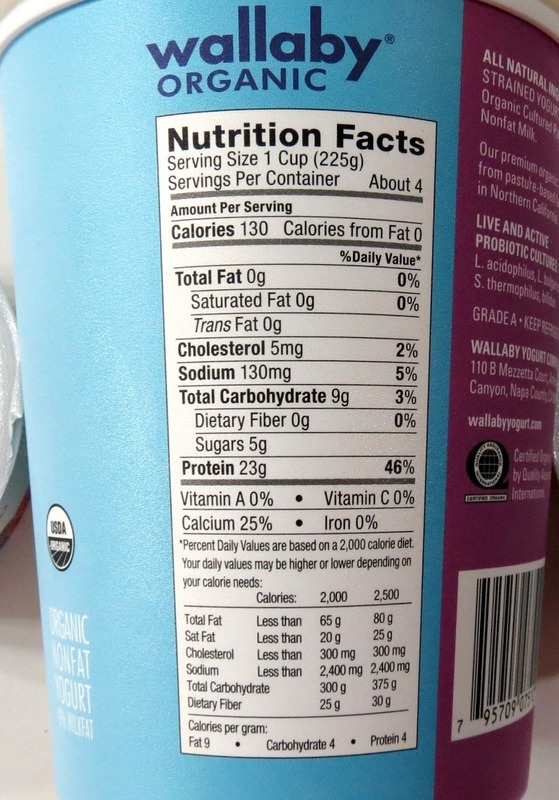 I love how low the sugar content is on it and how high the protein is. Makes for a guilt-free yogurt! Since I had my choice of yogurts to try, I decided to try almost all of them. So far my favorite is the Mixed Berries! Love my berries in my yogurt! It’s my favorite add in, next to peanut butter! I thought it was pretty cool, how they packaged the yogurt. They have their fruit in a separate cup so you can spoon it into the yogurt yourself. That way you can use all of the fruit or a little of it that you want. I thought the flavors of all of the yogurts were perfect! The yogurt pictured is the Wallaby Mixed Berries Greek Yogurt. I added my berries, gave it a mix and then ate it!! So good and only 120 calories!! Honestly I never heard of Wallaby Yogurt, so I scoped them out and found out that their yogurts are sold everywhere and they are local to me! Here is some information about the company. Wallaby Yogurt Company, please visit www.WallabyYogurt.com. You have to love that they are family owned and what a cool story! Do you know what a Wallaby is? Essentially, a wallaby is any macropod that isn’t considered large enough to be a kangaroo and has not been given some other name. There is no fixed dividing line. Wallabies are smaller and generally have a stockier build than a kangaroo. For more fun Wallaby facts, you can check it out here. So are you ready for the giveaway? Wallaby Yogurts was kind enough to offer 3 of my readers five (5) coupons for the 5.3/6oz products. Now you can try their creamy, dreamy yogurt too!! All you have to do is tell me, What is your favorite flavor of yogurt? I’ll announce the 3 winners on Saturday’s post!! Have a great day and Thank you Wallaby Organic Yogurts for letting me try your yogurts. You now have a new fan and I can’t wait to dig in and try more of your yogurts! Comment: I like strawbery yogurt, but I also like to eat plain Greek yogurt with honey and whatever fresh fruit is in season. I e-mailed everyone, but you can always contact me at [email protected] You have 48 hours to contact me or reply to my e-mail or I will pick another winner. My favourite flavour of yogurt is fig! i also already follow you on facebook and twitter! my favorite flavor is plain. I love to add fruit and nuts myself.! I love vanilla greek yogurt because I love to add my own fruit! 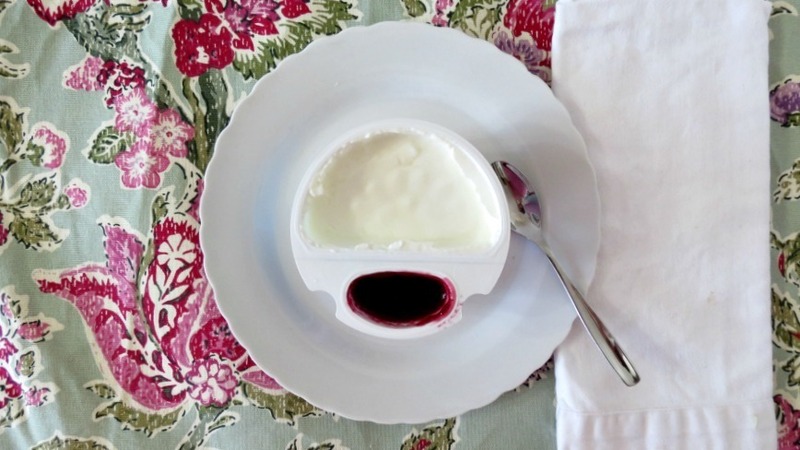 I like plain yogurt to make my own flavors! I follow Wallaby Yogurt on Twitter via @serene_streams! I like Wallaby Yogurt on Facebook! I’m also an email subscriber – thanks so much as I’ve been wanting to try Wallaby Greek! I love blueberry yogurt. Or pear. I like you on FB. Thx for an awesome giveaway!! My favorite is lemon! Blood orange is yummy, too! Strawberry is my favorite yogurt. I love Wallaby! I prefer plain yogurt so I can add fresh fruit. I love peach yogurt. Yum! I pinned your peanut butter cookie granola recipe. Favorite flavor is Peach! I also follow you on Facebook and subscribe to your emails. I love love love Wallaby!! Their yogurt is super creamy and almost tastes like dessert. Yum. My favorite flavor is pineapple! I subscribe to your emails. Thanks! I use plain a lot but my favorite would have to be cherry or blueberry. I am addicted to yogurt too!! In fact, I’m eating one right now. My favorite flavor is peach!! YUM!!! I follow peanut butter peppers on twitter!!! I follow peanut butter and peppers on Facebook!!! I pinned the blueberry Greek yogurt cookies!! Haha more yogurt!! 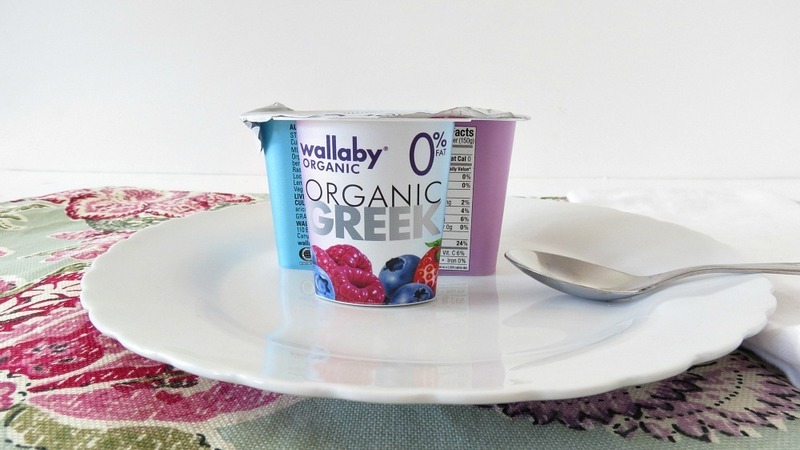 My favorite flavor of yogurt is greek plain or blueberry…love Wallaby! I absolutely live strawberry or vanilla yogurt! Yum!! I also signed up for emails!! I like to get plain Greek yogurt and then dress it up. just plain is my favorite – great for baking and then i can add my own fruit to my liking. I like cherry flavored yogurt. In the summer I usually opt for vanilla or plain and add fresh fruit from my garden and honey. I get your email updates at [email protected]. I follow you and Peppers and Wallaby Yogurt on Twitter. I like you and Wallaby’s Organic on Facebook. I follow you on Pinterest and pinned your recipe for the Shamrock Shake. Blueberry is my favorite – so yummy and berrilicious! I’m an email subscriber too! I have never heard of this yogurt, but I want to try it! My favorite flavor is just strawberry. My absolute favorite flavor of yogurt is Vanilla, but I also really like raspberry and blueberry too. I like strawbery yogurt, but I also like to eat plain Greek yogurt with honey and whatever fresh fruit is in season. My fave flavor is blueberry. 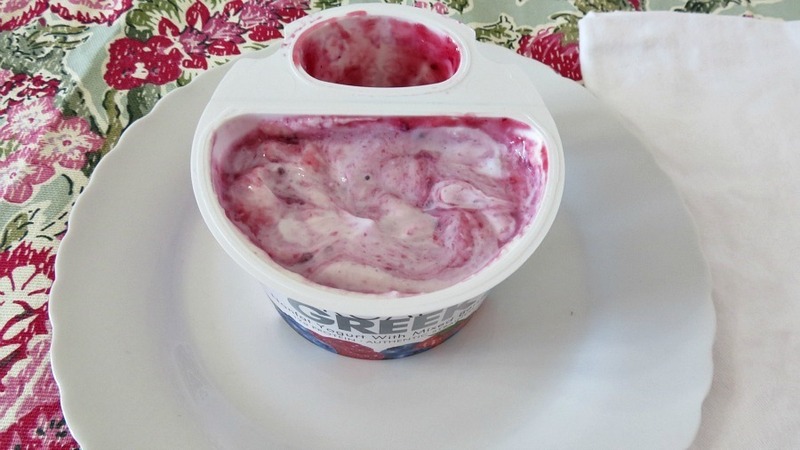 I haven’t tried wallaby yet, but I love cherry Greek yogurt!